After flying into Colombo Airport on the brand new 787 Dreamliner, it was time to drive straight on to our first destination. 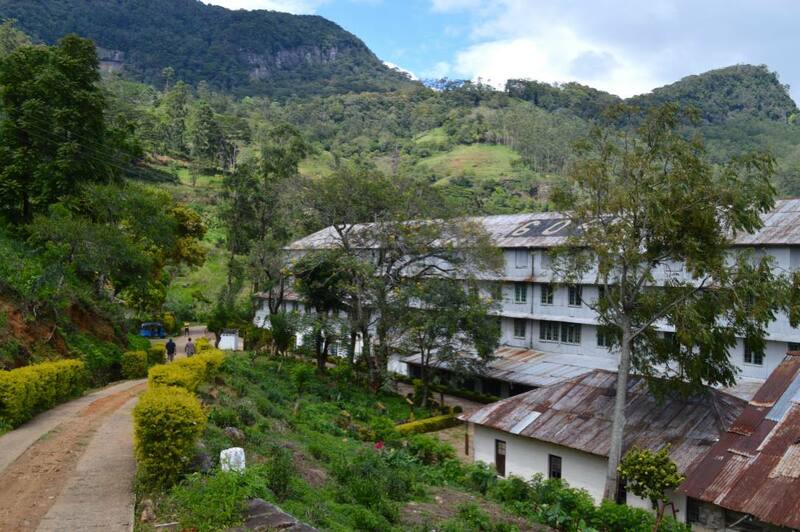 Kandy is a popular Sri Lankan city located 3-4 hours drive inland from Colombo. It’s most famous for it’s scenic surroundings, central lake, nearby tea plantations and The Temple of The Sacred Tooth. 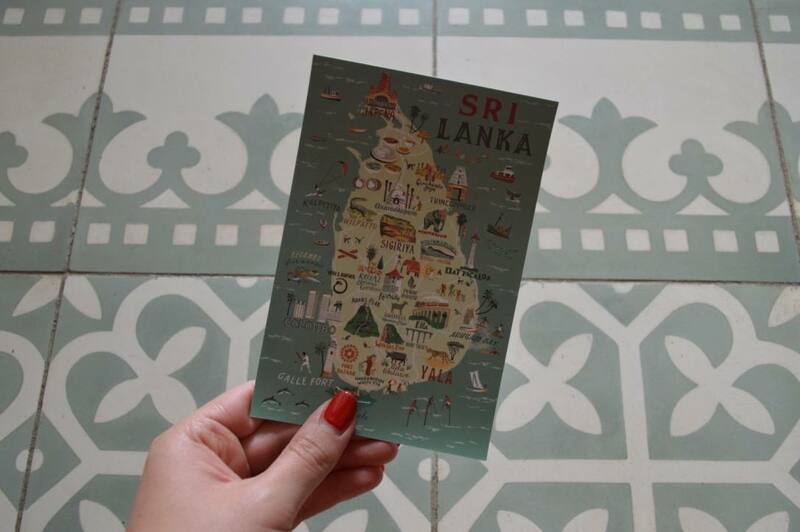 If you really want to get your teeth into the colours and culture of Sri Lanka, this is the place. 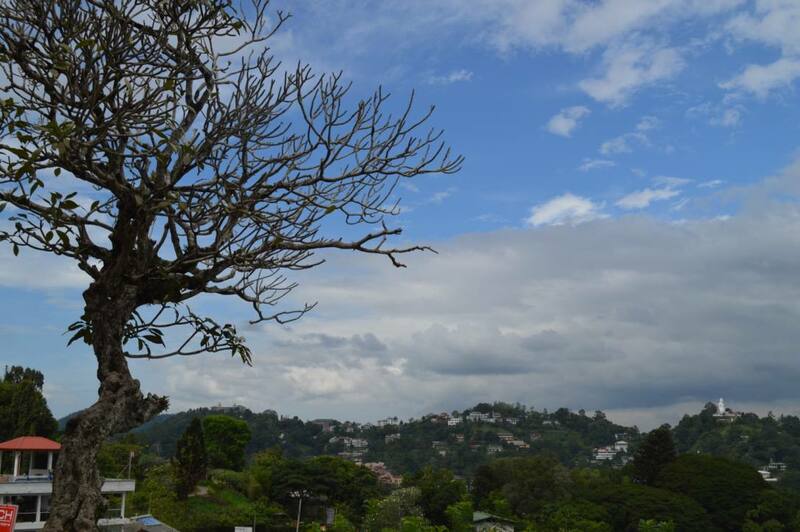 The breathtaking scenery in mountainous Kandy Province is something you cannot miss. The best way to get out and see it for yourself is by visiting one of the nearby tea plantations. We started the day with a visit to Loolecondera Estate and Tea Factory which included lunch at Taylor’s Hill, a colonial boutique guesthouse in the heart of the estate. 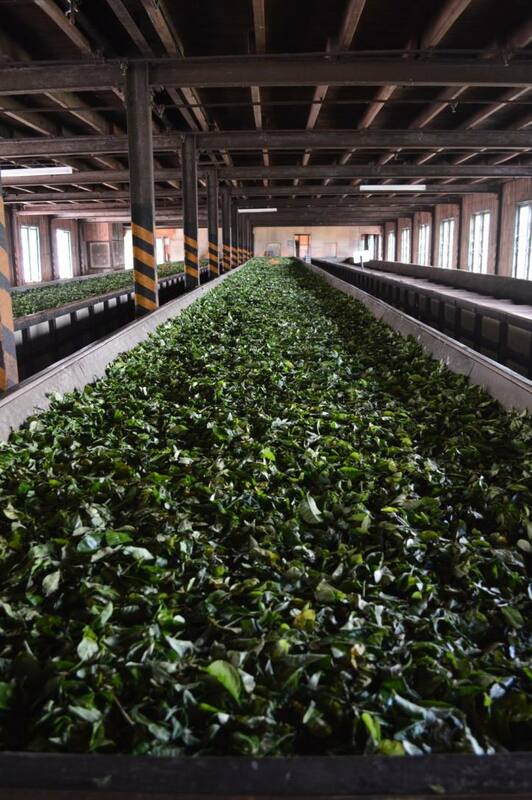 The guided tour of Loolecondera’s Tea Factory helped us to watch and understand the historical Ceylon tea making process, from picking the leaves to tasting the finished product. 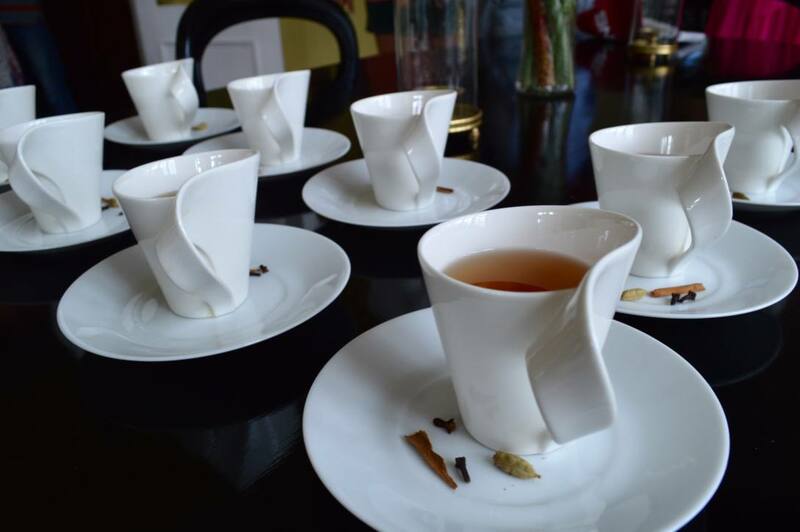 It gave me a new found appreciation of the hard work that goes in to creating my morning cup of tea! 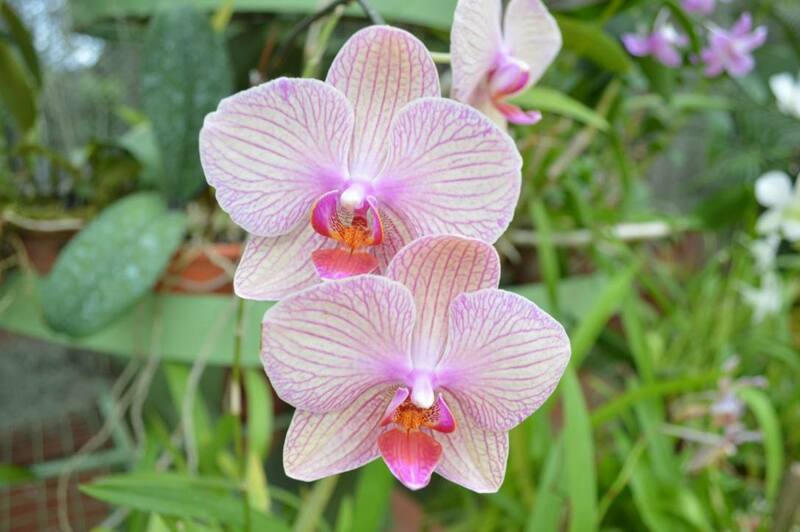 In the afternoon of Day 1 we visited the Royal Botanical Gardens in Kandy. 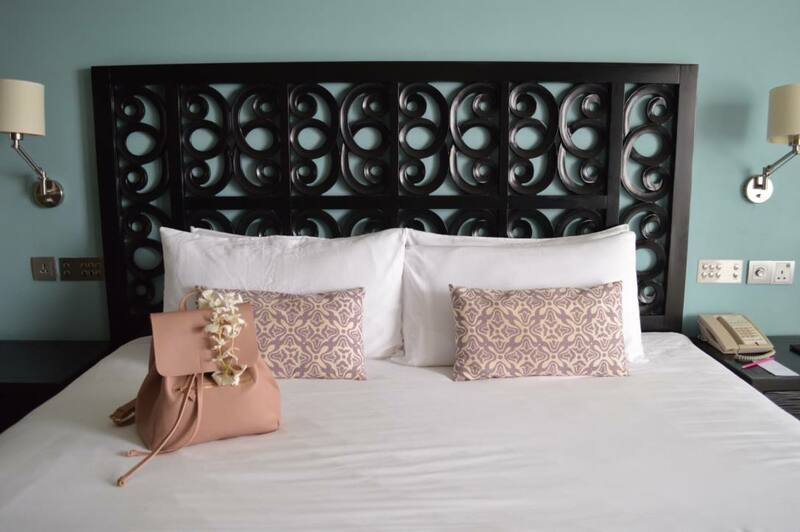 This is a serene and safe haven away from the bustling tuk tuk-filled streets of Kandy. I absolutely loved strolling through the gardens, despite an unexpected influx of about 200 school children! 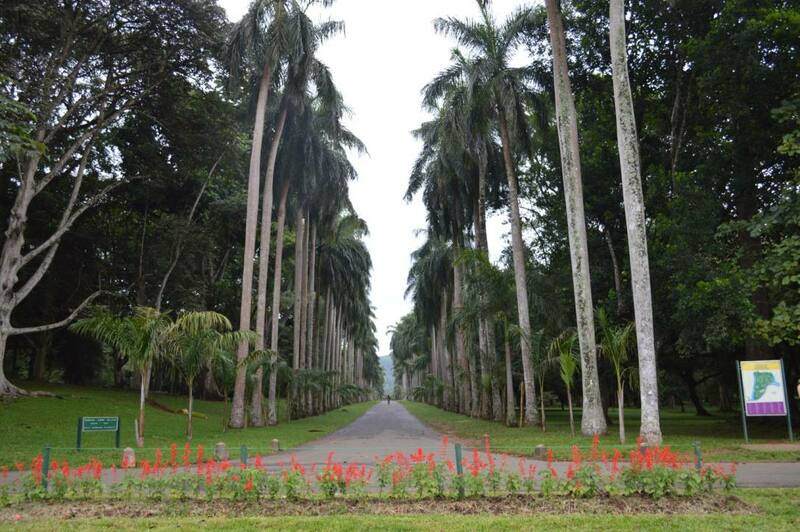 Wild monkeys roam free and the flowers and plants are gorgeously tropical. The gardens are well worth a visit. 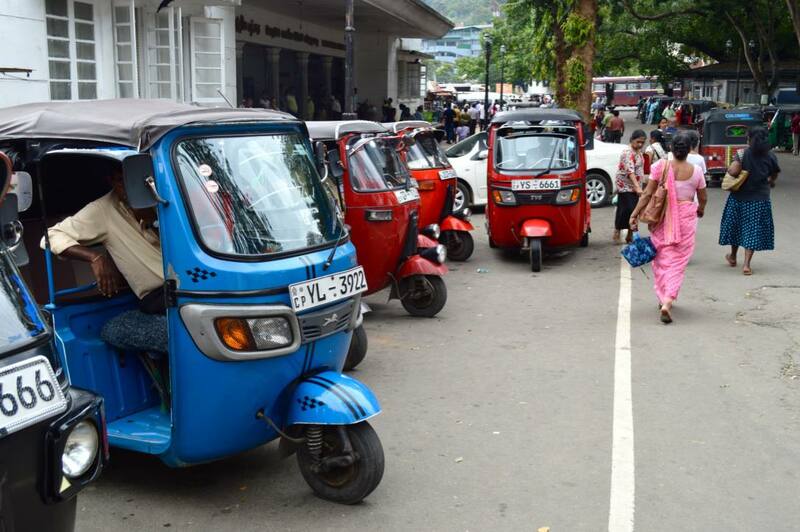 On Day 2 I was itching to get out on to the streets of Kandy with my camera in hand. We had the option to go on a guided tour, but fellow blogger Carlie (of CarlieTasker.com) and I decided to go at our own pace. 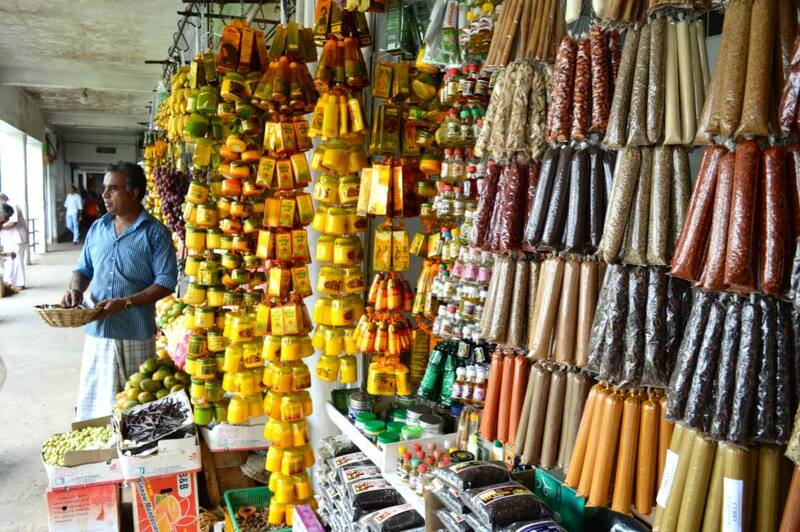 First we visited the Central Market which sells colourful fruit, vegetables, exotic spices, meat and of course Ceylon tea. It’s the perfect place to come and pick up authentic souvenirs at a great price. 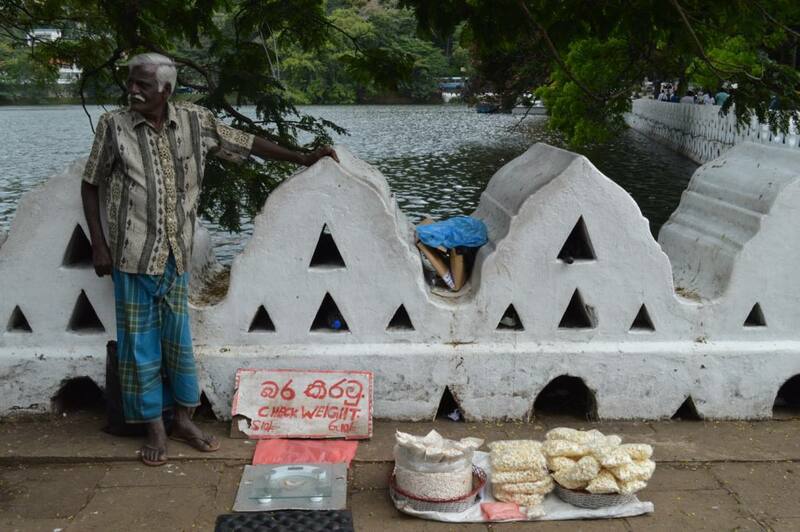 We then took a stroll around the central Kandy Lake where you can buy duck food and feed the ducks. Our evening began with a performance at the Kandy Sri Lankan Cultural Show, which is located in a theatre right next to the lake. The showcase of traditional Sri Lankan dances was colourful, energetic and captivating. Expect to see folklore tales, spinning plates, spinning people(!) and an al fresco grand finale of walking on hot coals. Tickets can be booked through most hotels. 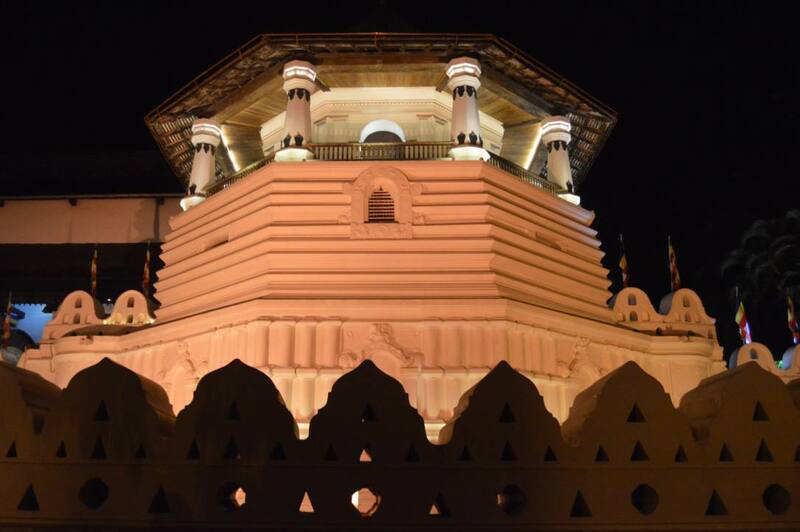 We ended the day with a visit to the Temple of the Sacred Tooth, undoubtably Kandy’s most-visited attraction. 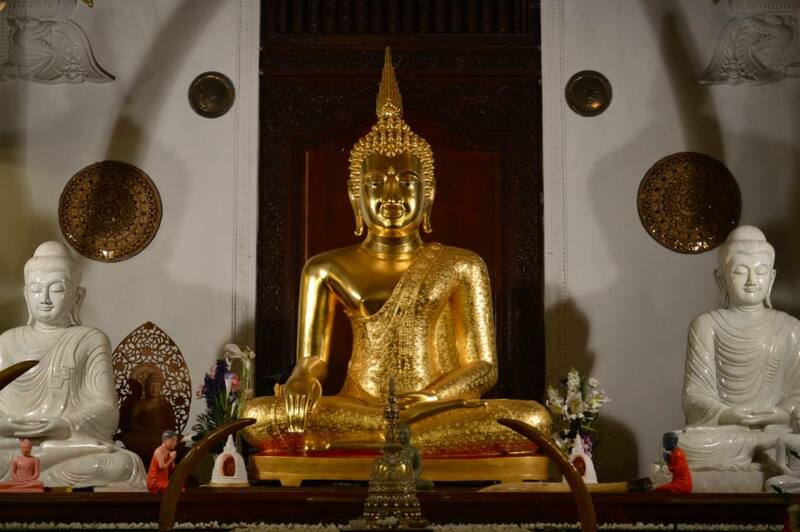 The temple is believed to house one of Buddha’s original teeth, which has become an incredibly sacred relic. The tooth is housed in an ornate golden structure in the middle of the temple, and seeing the locals, visitors and pilgrimages come to worship it was an eye-opening experience for me. 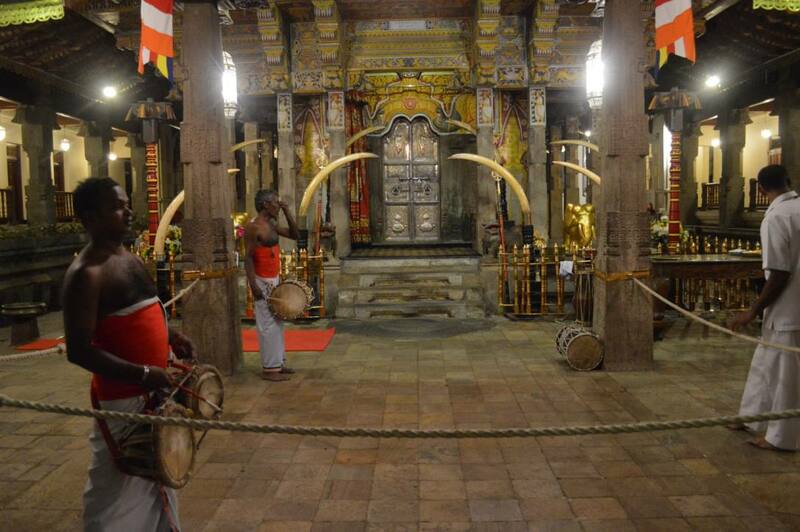 Visiting Kandy first gave us an amazing introduction to the rich culture and way of life in Sri Lanka. The surrounding scenery is beautiful and the locals are very proud of their town. 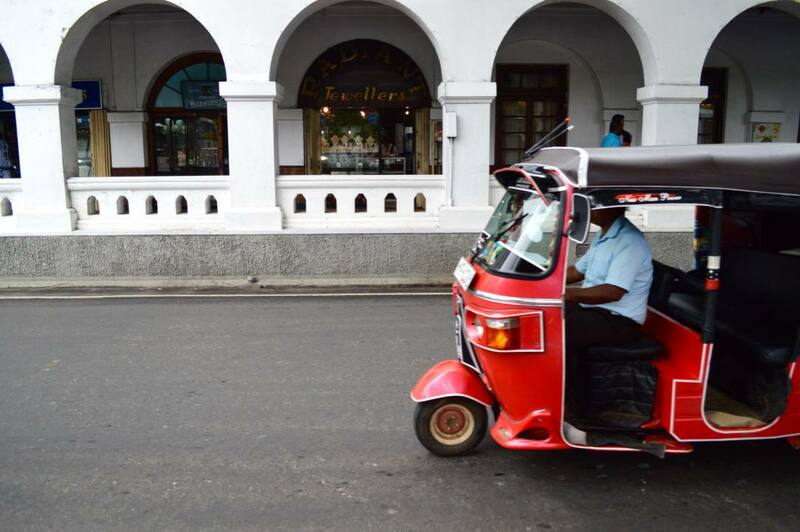 Next up it was time to head to the small coastal town of Ahungalla in Galle Province. Whilst Ahungalla is more suited to a relaxing beach holiday, there are still plenty of things to discover on and away from the beaches. Our main base was the impressive Riu Ahungalla, a brand new resort which is exclusively owned by Thomson Holidays. 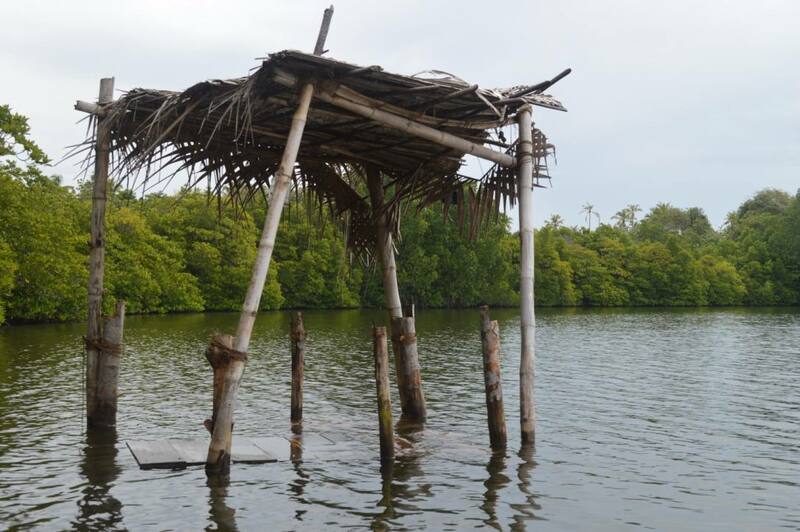 A half day excursion along the Madu Ganga River is a great way to see some of Ahungalla’s surrounding areas. 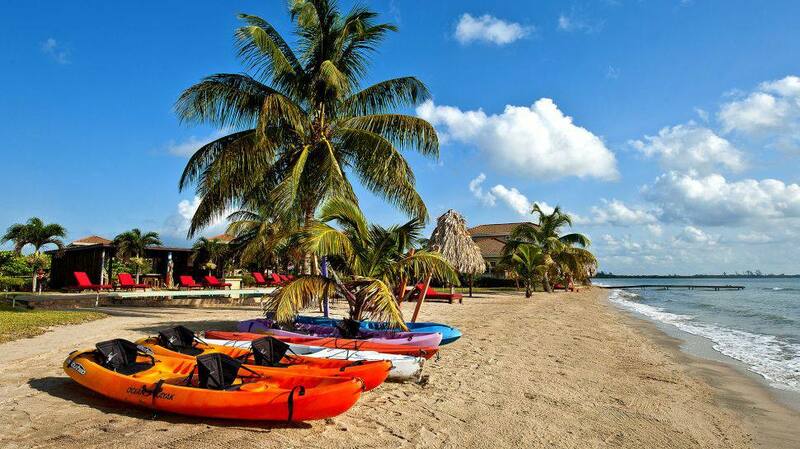 The river is a series of wide canals and narrow mangrove waterways. With rumours of crocodiles inhabiting the river, fear turned to giddiness as we boarded the boat. 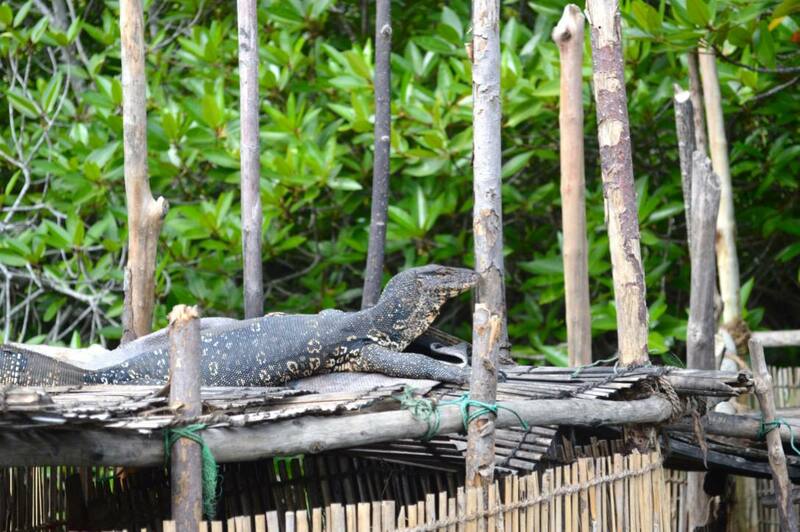 Whilst we didn’t see any crocs, we spotted some amazing birds, monkeys, snakes and a huge dragon-like reptile. Pack your binoculars and your zoom lens if you’re a keen photographer! 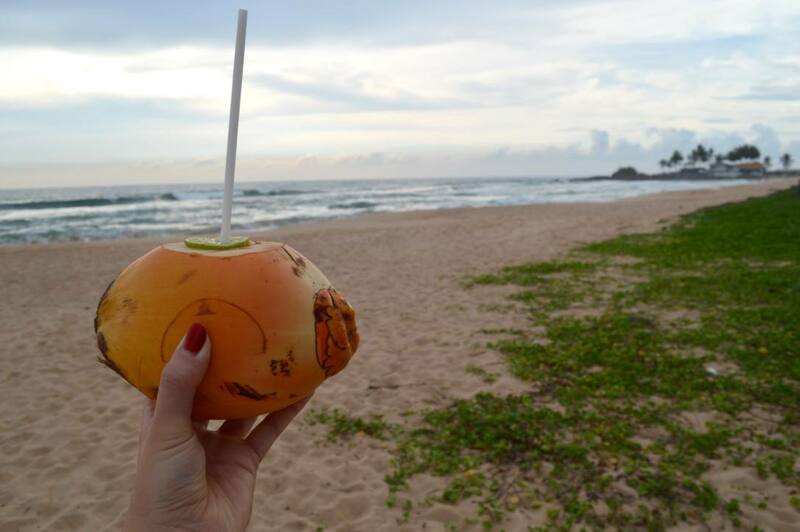 After recently reading about Galle on the Conde Nast Traveller UK website, I was excited to see it for myself. 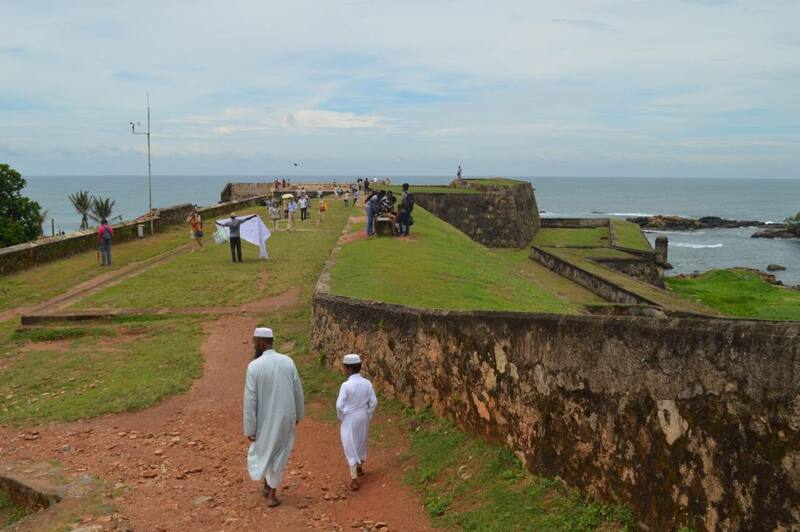 We visited Galle in the afternoon and headed straight for Galle Fort, an iconic part of the town rich in history and the odd snake-charmer. 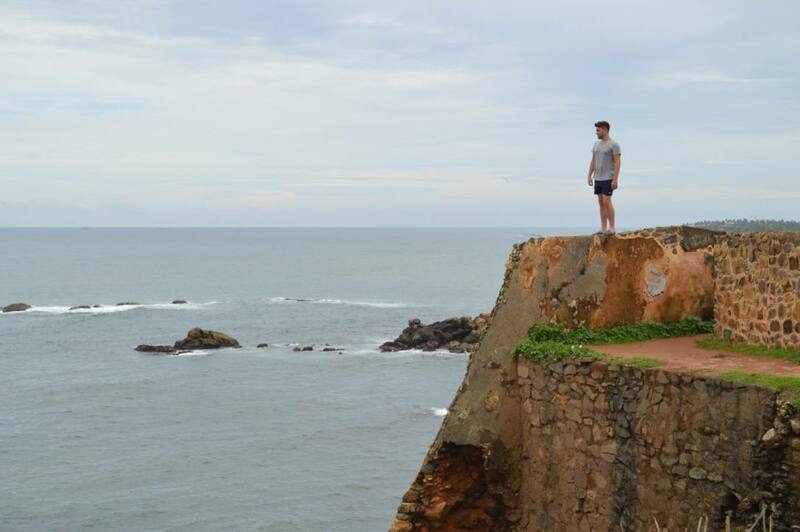 The fort dramatically overlooks the ocean and there is a lovely coastal walk to the left of the ruins. 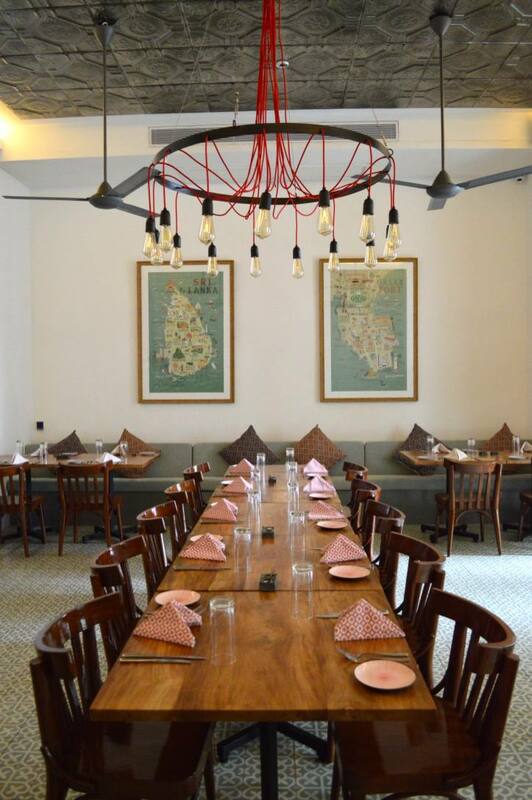 We found a perfect little lunch spot called Church Street Social which is located in Galle’s Fort Bazaar, a beautifully designed boutique hotel in centre of town. I highly recommend visiting here, even if it’s just for a quick bite or a instagrammable coffee! 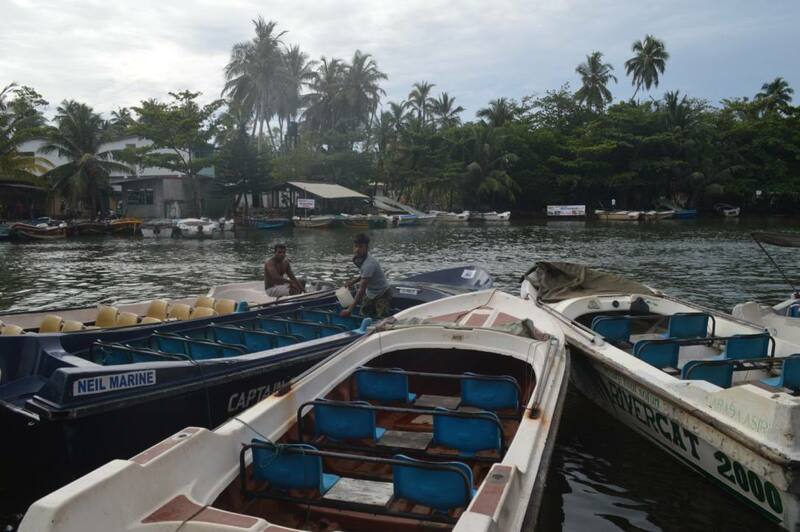 The final stop of Day 3 was to go and visit the Stilt Fishermen of Galle Province. 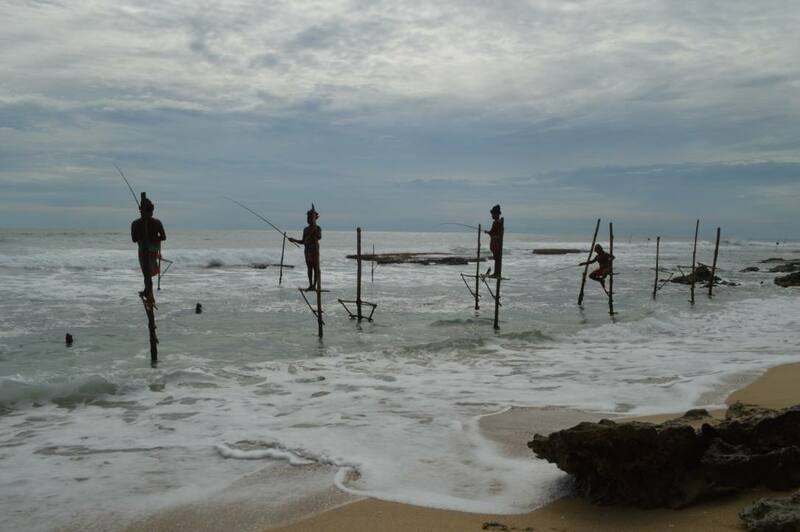 The ancient art of stilt fishing is still practiced in Sri Lanka today and is a highly respected profession. The fishermen even let us have a go at fishing on the stilts and all I can say is, they make it look much easier than it is! On day 4 some of the group took a trip to the Udawalawe National Park, one of Sri Lanka’s biggest eco-tourism destinations. 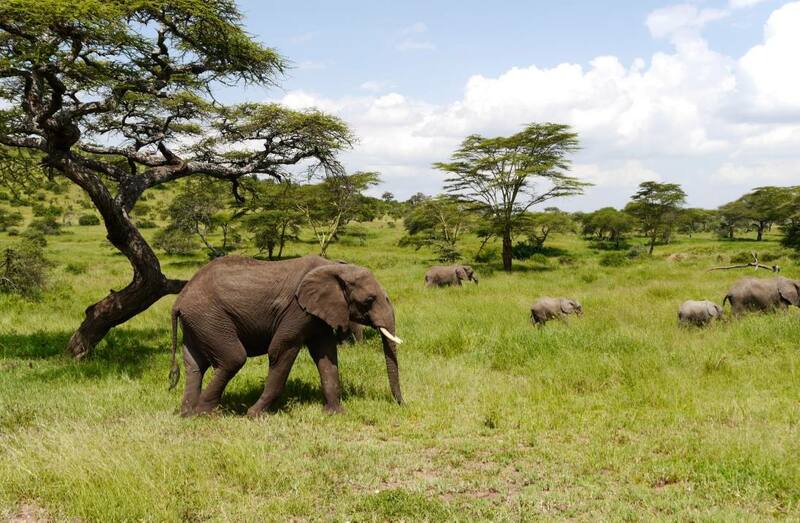 Elephants and wildlife roam free in 30,821 hectacres of dry zone game park. The park is also home to water buffalo, water monitor lizards, sambar deer, monkeys and the occasional leopard. 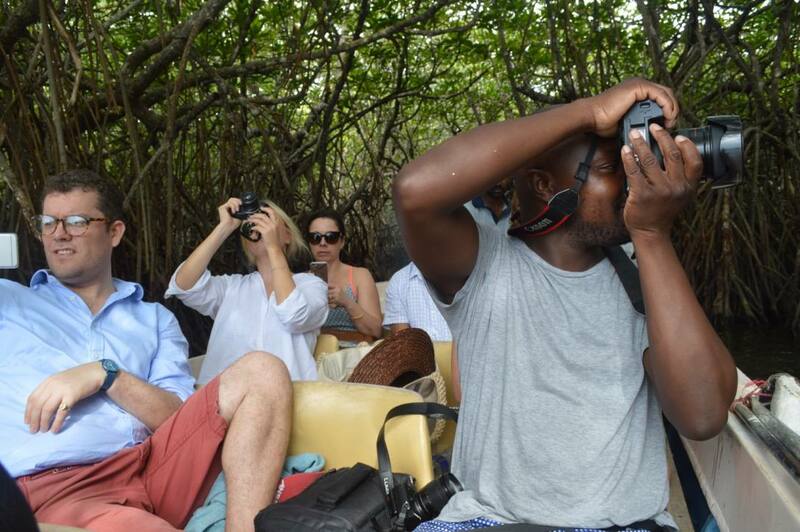 Whilst I personally didn’t go to the national park, the other people in my group absolutely loved it, some of whom saw wild elephants for the first time. 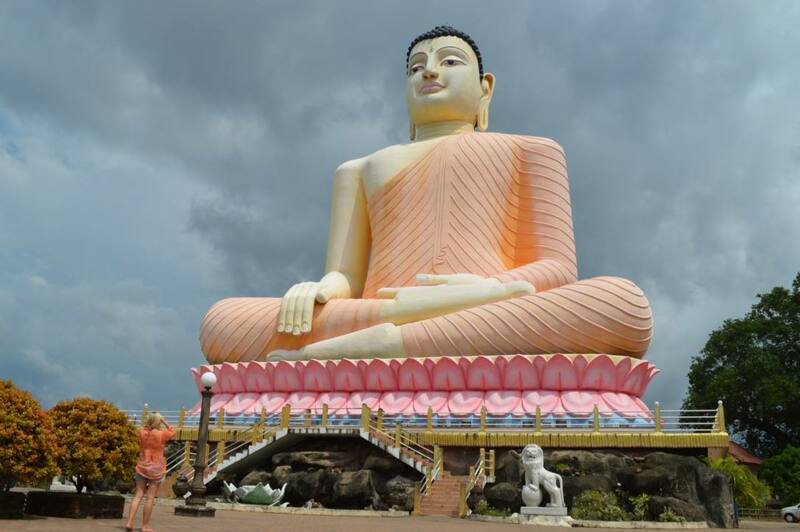 Excursions to Udawalawe National Park can be arranged at the Rui Ahungalla and other hotels. 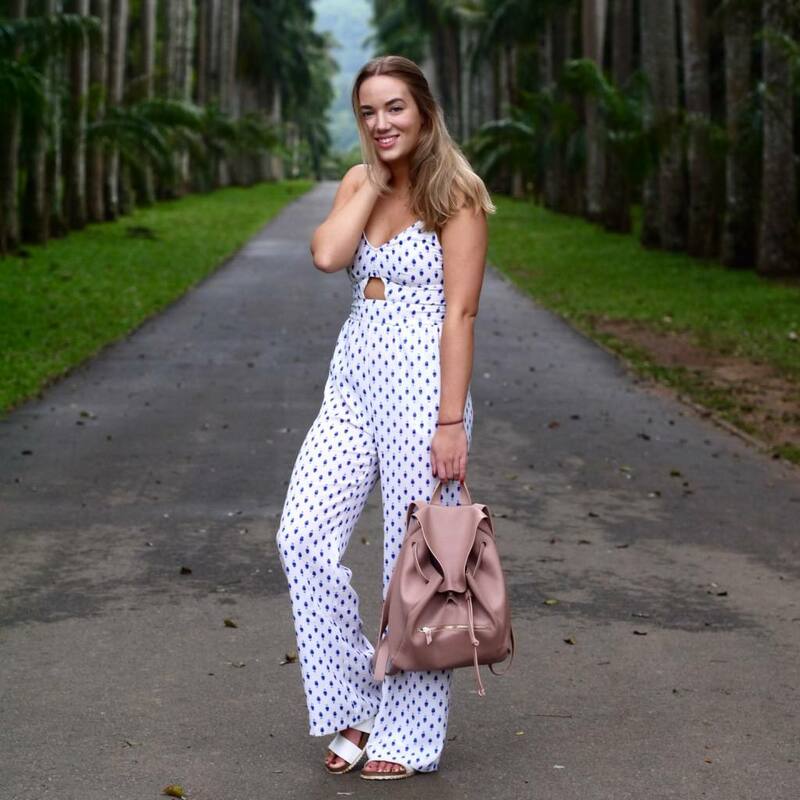 Our Sri Lanka itinerary was probably equivalent to what most people fit in to two weeks, so day 5 was all about relaxing. Before we arrived at the hotel, we made a pit stop at the aptly named Big Buddha Temple which is a 5-10 minute drive from the hotel. The Vivanta by Taj was the most luxurious hotel of the trip, so it was great that we had time to make the most of our surroundings. Taj Hotels are renowned for their incredible spas, so I booked myself into the Jiva Spa for a herbal facial. On my way to the spa the weather turned and the heavens opened – but it didn’t matter – I was safe inside the soothing and sheltered spa. 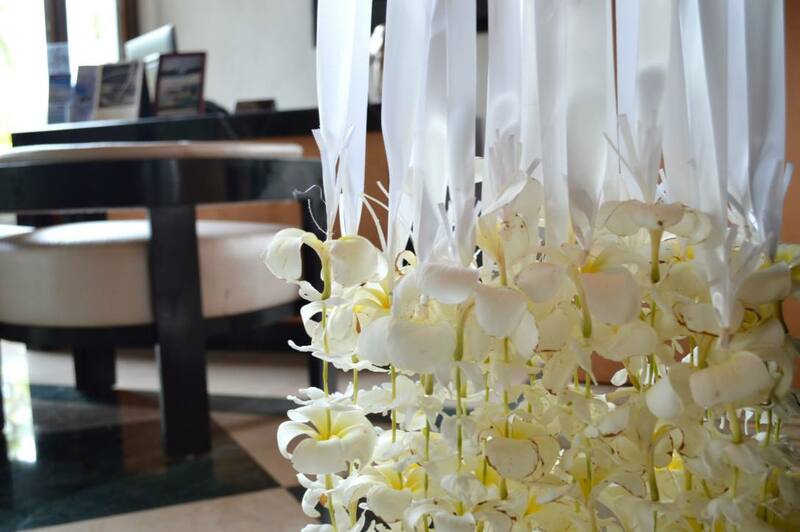 The treatment itself was wonderful and made me drift into a genuine state of relaxation. After the facial I sat in the central courtyard and sipped ginger and honey tea as the rain poured down. It was one of my favourite moments on the trip. My week in Sri Lanka was a whirlwind of culture, curries, great company, wild animals and spectacular scenery. 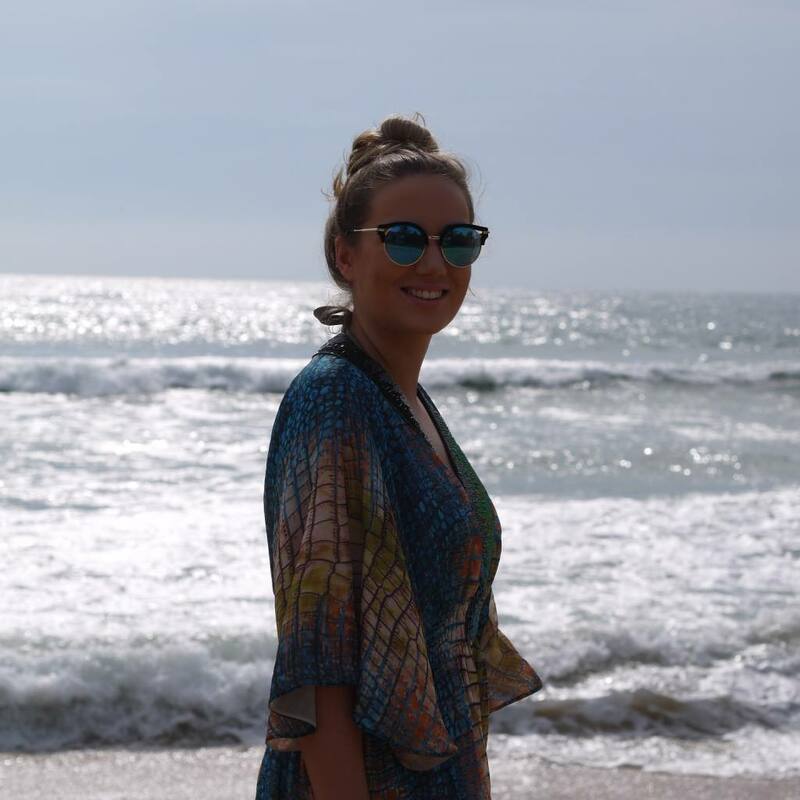 Whilst I didn’t have much time to spend on the beach or at the pool, it was clear that Sri Lanka is equally a place for relaxing as well as adventures. 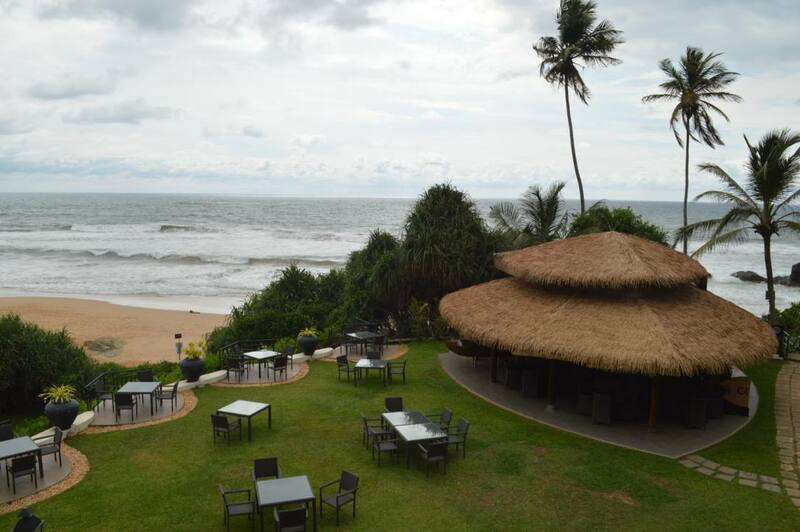 The exotic culture of Sri Lanka is apparent even in the big hotels, which gives a refreshing twist on the average beach holiday. 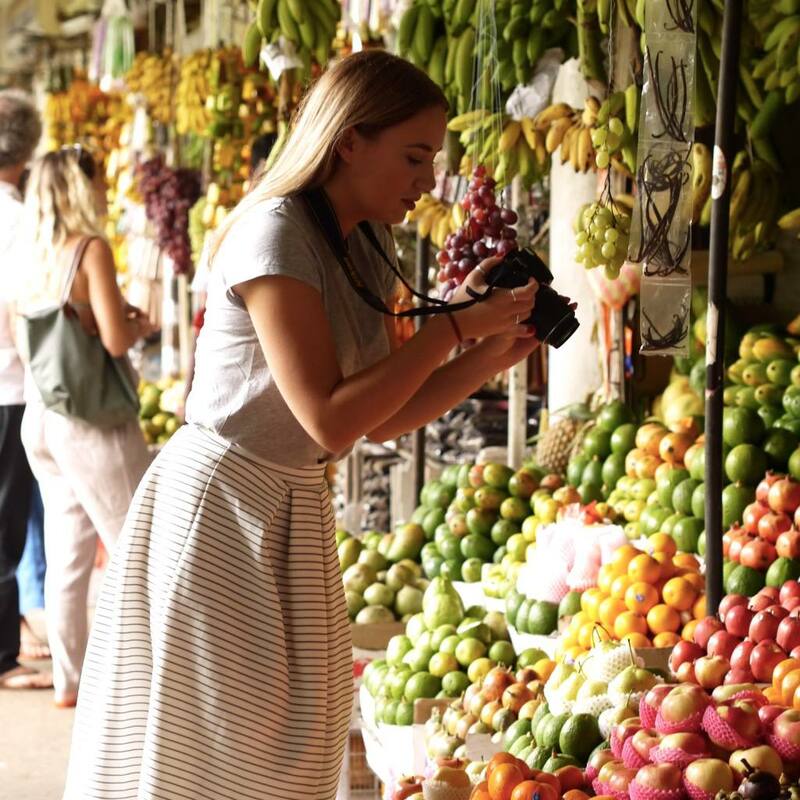 With year-round sunshine, sandy beaches, friendly locals, incredible food and direct flights from the UK, adding Sri Lanka to your 2017 travel plans could be the best decision you’ve made all year. 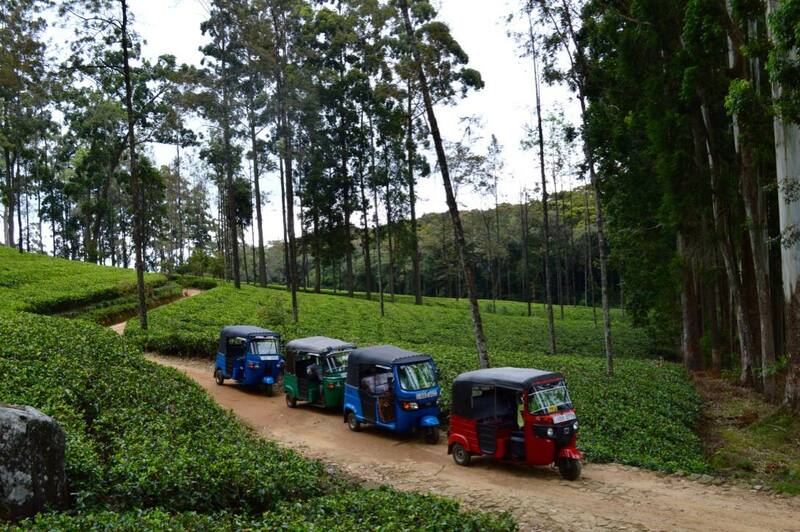 This bespoke tour of Sri Lanka was organised by Aitkin Spence Travels, a local partner of Thomson Holidays. Great article. Such a beautiful place is this. 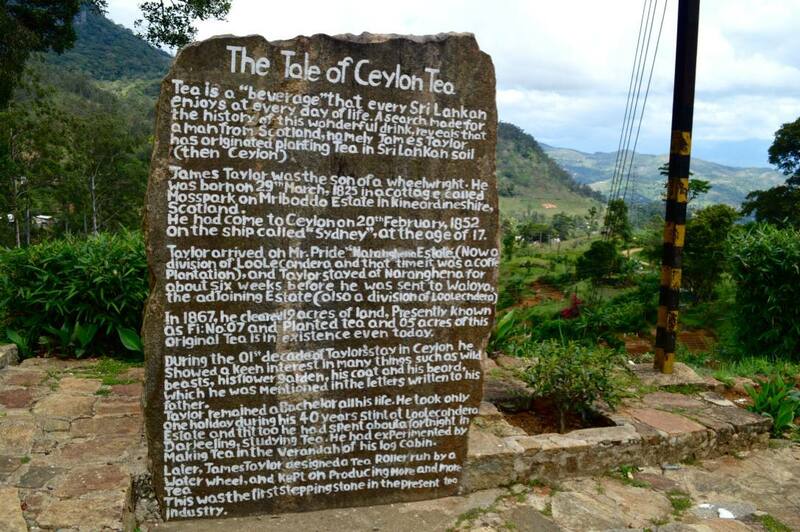 after reading this article I would like to go to Sri Lanka. Thanks for sharing your experience. Thank you! I am so pleased you’ve been inspired to visit Sri Lanka. I am travelling to Sri Lanka for a week in July, and I was just wondering, how did you get from place to place once in Sri Lanka? What is typically the best way for tourists to get around? Hi Dan. My trip to Sri Lanka was part of an organised tour with TUI so we had a mini bus taking us round from place to place. But you can get around in Sri Lanka by bus, taxi or even train. 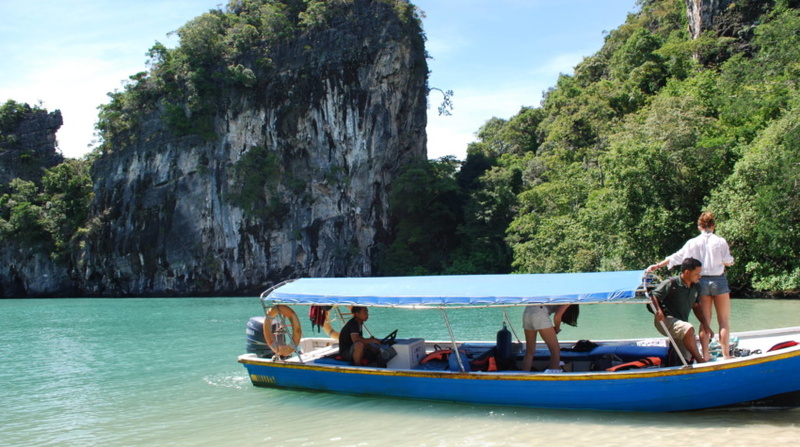 Many local tour operators can help you book transport once you’re in the country. 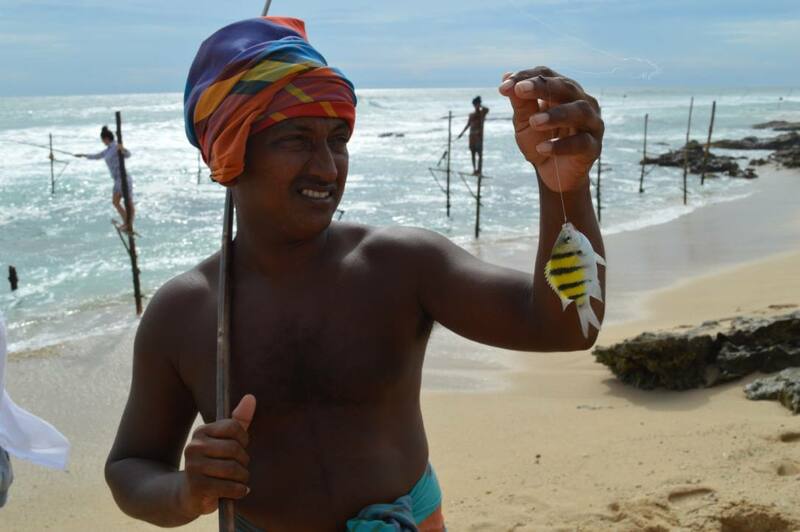 Hi Jess, where in Galle did you see the stilt fishermen? Such lovely photos (and I LOVE your pink backpack!). 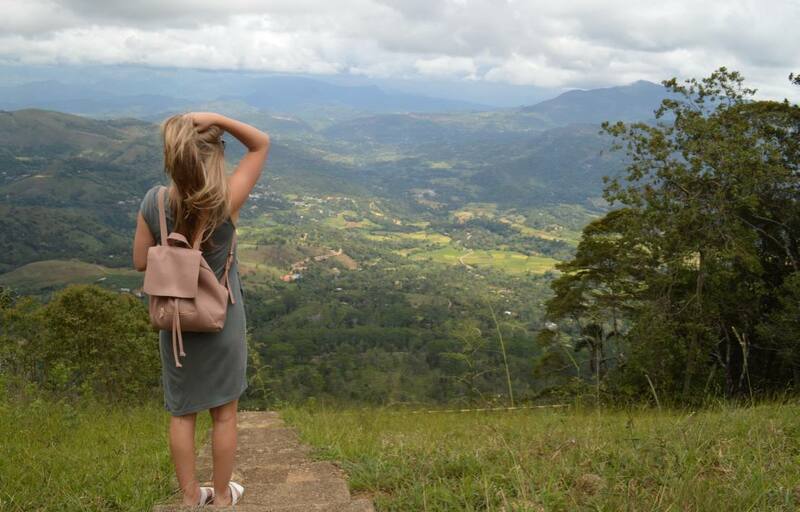 I’d never thought about Sri Lanka before as a travel destination but you’ve opened my eyes once again! Cheers to many travels in 2017! Wow.. Lovely pictures.. Stilt fishing must have been a lot of fun.. Now after reading this Srilanka is on my must visit places list for 2017. Such a fun time in Sri Lanka!!! Brilliant photos too Jess!